The Hatfield-McCoy feud began in the mountainous Tug River valley. The Tug River separates West Virginia from Kentucky and separated most of the Hatfield and McCoy clans. William Anderson Hatfield was the recognized leader of the Hatfields and went by the nickname of “Devil Anse”. The leader of the McCoys was Randle McCoy. 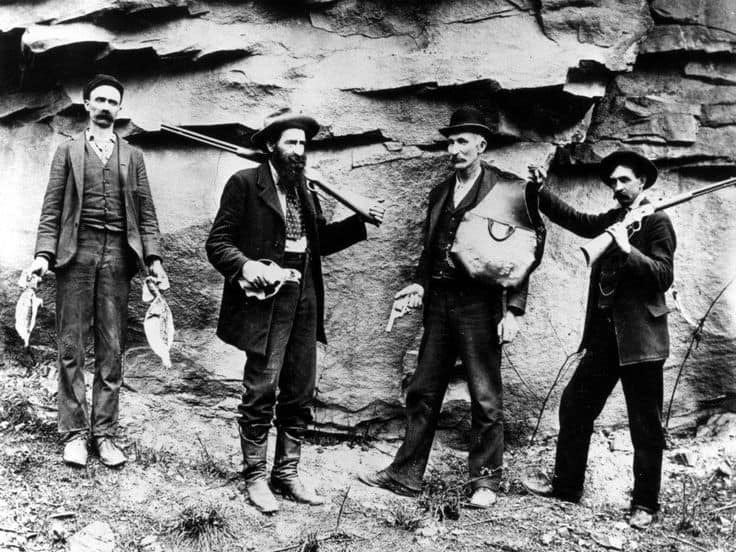 The first known event linking the Hatfields and McCoys was at the end of the Civil War. Devil Anse fought for the Confederate Army for two years. Then he and some of his family members left the army and returned home. They joined a local Confederate militia known as the Logan Wildcats. Randle McCoy’s brother, Asa Harmon McCoy, was a Union soldier. In 1865 Asa was wounded in battle and came home. While Asa was recuperating, he was murdered. No one was ever charged with the murder but it was rumored that Devil Anse and the Logan Wildcats were involved. Some believe the feud started with this incident but there were no attempts at retaliation by the McCoys and no further conflict between the families for over a decade. 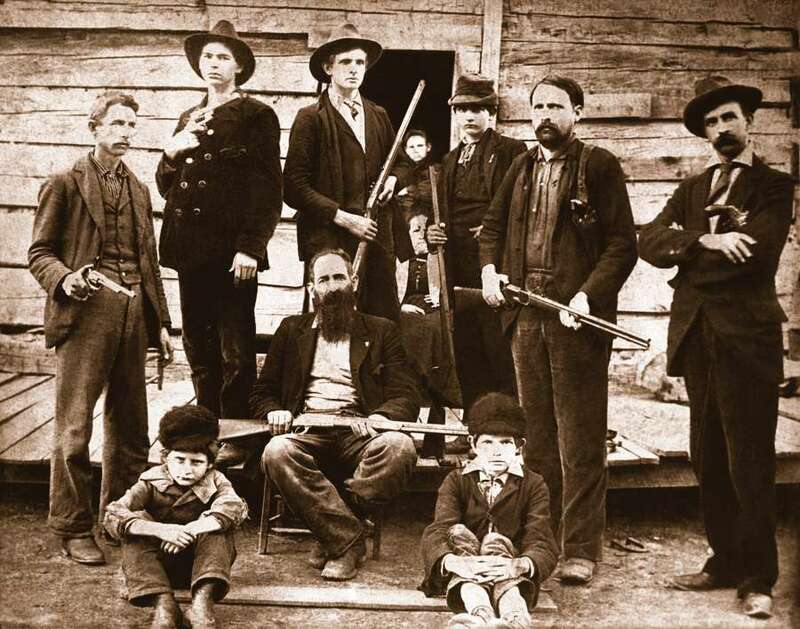 Then in the late 1870s, Devil Anse Hatfield got into a land dispute with Randle McCoy’s cousin Perry Cline. Anse won the land dispute and was granted Perry’s entire 5,000 acre plot of land. The McCoys felt that Anse had used his political connections to influence the court’s decision. A few months after the verdict, Randle McCoy accused Anse’s cousin, and best friend, Floyd Hatfield of stealing his hog. 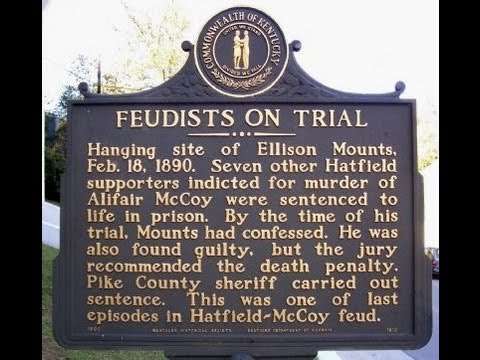 A lawsuit was brought against Floyd and the magistrate put together a jury of six McCoys and six Hatfields to hear the case. At the end of the trial one of the McCoys voted with the Hatfields for acquittal. That McCoy worked on Devil Anse’s timber crew and the McCoys claimed he voted with the Hatfields to save his job. As a result, the McCoys felt like they had been cheated again. This heightened ill feelings between the two families and several armed confrontations followed. This is when the violence between the families began in earnest. Then in 1880, two years after the Hog Trial, events took an unexpected turn. At a community celebration Devil Anse’s son Johnse Hatfield met Randle McCoy’s daughter Roseanna. After spending one day together the couple decided they wanted to get married. Johnse brought Roseanna home with him and Devil Anse allowed them to live together in his house. It has been said that Anse refused to let Johnse marry Roseanna because she was a McCoy but there is also evidence to the contrary. In any event, Roseanna soon became pregnant with Johnse’s baby. Eventually she realized Johnse wasn’t going to marry her and she left the Hatfield home. However, her father refused to take her back in and she went to live with her Aunt Betty. Shortly after moving in with Aunt Betty, Roseanna gave birth to her baby but it died of the measles at eight months of age. Then six months after the baby’s death Johnse married Roseanna’s cousin, Nancy McCoy. Not long after Johnse’s romantic entanglements another pivotal event in the feud occurred. Devil Anse’s brother Ellison Hatfield got into a fight with three of Randle McCoy’s sons at an election day celebration. One of the McCoys pulled a knife and Ellison was stabbed 27 times and then shot in the back. Anse and a posse intercepted the McCoy brothers as they were being taken to a Kentucky jail and escorted them back to West Virginia. Ellison was still alive and, according to Anse, the three McCoys would live only if Ellison survived. The following day Ellison died. Anse and his followers then transported the McCoy brothers across the river to Kentucky, tied them to several pawpaw trees and shot them. Indictments were issued for Anse and several of his supporters, but for five years no action was taken to extradite them. In September 1888, the Hatfields involved in the raid on Randle McCoy’s home were tried for their crimes. All were sentenced to life in prison except for Ellison Mounts who was hanged the following year. Devil Anse made no attempt to get revenge for the conviction of his family members and this marked the end of the feud. Then in 1887 the McCoy family was able to gain influence with the newly elected governor of Kentucky. This resulted in vigorous efforts to extradite Devil Anse and his associates for the murder of Randle McCoy’s three sons. These efforts included a $500 reward for Devil Anse Hatfield’s capture. 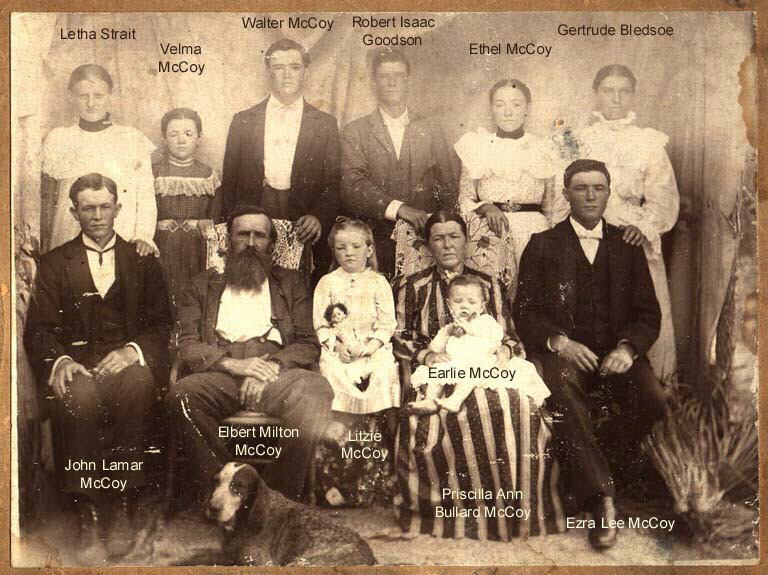 On January 1, 1888 the Hatfield family decided to retaliate by attacking and burning Randle McCoy’s home in Kentucky. During the raid two of Randle’s children were killed and his wife was seriously injured. This led to the Battle of Grapevine Creek in which several Hatfield supporters were captured or killed. The captured Hatfields were then transported to Pike County Kentucky to await trial.